A team of Rutgers scientists, including Leonard Lee and Shaohua Li, have taken an important step toward the goal of making diseased hearts heal themselves-a new model that would reduce the need for bypass surgery, heart transplants or artificial pumping devices. The study, recently published in Frontiers in Cell and Developmental Biology, involved removing connective tissue cells from a human heart, “reverse-engineering” them into heart stem cells, then “re-engineering” them into heart muscle cells. The Rutgers team’s true breakthrough, however, is that the newly created cardiac muscle cells clumped together into a single unit that visibly pumps under the microscope. 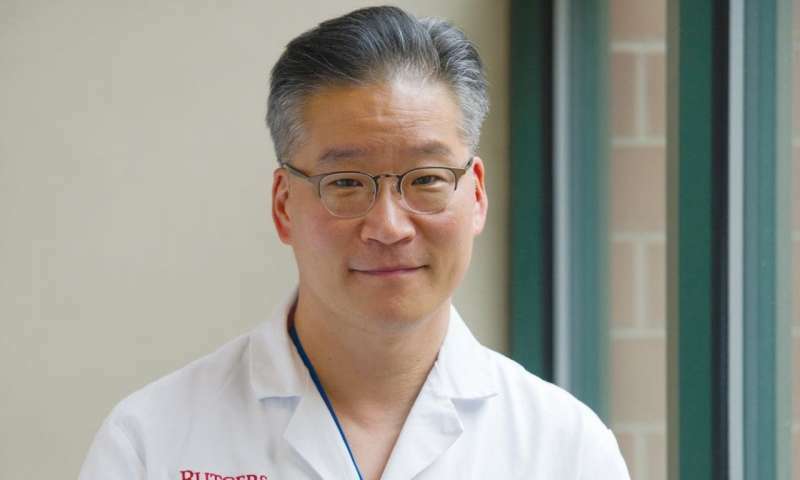 Senior author Leonard Y. Lee, chair of the Department of Surgery at Rutgers Robert Wood Johnson Medical School, said cardiac cells made in this way don’t normally come together and beat as one. His team succeeded in making this happen by over-expressing, a protein in the cells called CREG. According to Lee, fibroblasts, a cell in connective tissue, were isolated from the heart tissue and reverse-engineered-or transformed-into stem cells. This was done so that when the CREG protein was over expressed the stem cells would differentiate into cardiac cells. Though still far off, Lee’s ultimate goal is to be able to remove small amounts of a patient’s native heart tissue, use CREG to convert the tissue into cardiac muscles that will work together cohesively, and re-introduce them into the patient’s heart allowing it to heal itself. More than six million Americans are living with heart failure, according to the American Heart Association. While most people hear the term “heart failure” and think this means the heart is no longer working at all, but it actually means that the heart is not pumping as well as it should be. People with heart failure often experience fatigue and shortness of breath and have difficulty with every day activities such as walking and climbing stairs.